Looking for an idea starter? Maybe what you need is Origins of Audio Pulse. Pulse by Origins of Audio is a sequencer for Kontakt that might just get you out of that creative dead end. Pulse is a sequencer – not a sample library – in fact you need to import samples in order to use it. But that’s ok! It can create some really good sequences! Pulse is a powerful sequencerwhich will inspire all of you who reached a musical dead end! 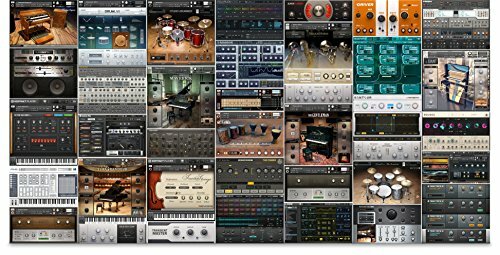 You have only to import a group inside Kontakt’s engine, choose from at least 13 different musical scales and let Pulse do its work! The are 14 slots to which you can store presets and load them instantly, either by using the “load” button or by pressing the corresponding keyswitch. Pulse is calculating the exact Signature of the musical pattern you just created, giving you the basis to start composing. Speed/Tempo allows you to change the tempo of your sequence (double of half the speed) without changing Kontakt’s or your DAW’s tempo! The Humanizer button allows you to add a little more realism to your exported sequence. You can either select manually every note of the sequencer, or adjust the lowest and highest note value and click the “random” button. Same thing stands for velocity and note pitch. You can also adjust the velocity level of every note with a single slider, or even choose the same note value for every step. Finally you can select a desirable time signature and notes value and click the randomize button! More on Origins of Audio Pulse at their website.